Xolair, an injectable medication that treats allergic asthma and chronic hives, is linked to several common side effects, including pain, fatigue and dizziness. Less common side effects are potentially deadly. The drug’s label includes a warning for increased risk of anaphylaxis — a severe, life-threatening allergic reaction — heart and brain blood-vessel problems and an increased cancer risk. Xolair is an injectable treatment for allergy-related illnesses, including allergic asthma and chronic hives that cannot be traced to a known cause. It is given once or twice a month by a physician or other medical professional in a health care setting. Users may experience a range of common side effects, including pain isolated at joints, arms and legs or spread out across the body. To address a rare side effect, a black box warning on the drug’s label warns patients and health care professionals about the possibility of anaphylaxis, a serious allergic reaction that can lead to death very quickly. Additionally, the U.S. Food and Drug Administration evaluated a study that links the drug to heart complications as well as problems with the blood vessels in the brain. But it is also associated with some lesser known, but still very serious, side effects, including an increased risk of developing malignancies (cancer) affecting various parts of the body. Use of the asthma medication is also found to cause a condition called vasculitis in some patients, which causes inflammation of blood vessels, blocking normal blood flow. Additionally, it has been linked to an increased risk of parasitic infections and a combination of symptoms involving fever, joint pain and rash. Those severe side effects are rare. Common side effects vary depending on the condition patients are treating with the drug. Xolair treats two conditions: asthma and chronic hives. Researchers have observed the rare development of at least 10 different cancers in patients following the use of Xolair. Malignant neoplasms (abnormal growths) were observed in 0.5 percent of patients treated with the drug compared to 0.2 percent of untreated participants in a controlled clinical study, according to the drug’s label. The study involved adults and adolescents 12 and older who were diagnosed with asthma and other allergic disorders. The malignancies that emerged in the patients taking Xolair varied, with breast, non-melanoma skin, prostate, melanoma and parotid (a major salivary gland located on either side of the mouth and in front of both ears) occurring more than once in observed patients, and five other types of cancer occurring once each. Most of the patients participating in the study were observed for less than one year. Therefore, the impact of longer exposure to the medication in treated patients at higher risk for malignancy, such as those who are older, current smokers, or otherwise), is unknown. In a later observational study, where both patients on the drug and those not taking it were followed for up to five years, results showed that malignancy outcomes were similar in both groups. However, it is noted that several study limitations prevent a definitive finding, meaning malignancy risk cannot be completely ruled out. Rare instances of serious systemic eosinophilia have been reported in patients taking Xolair, according to its drug label. The severe reaction to the injectable asthma medication is consistent with a condition called Churg-Strauss syndrome and characterized by inflammation of the blood vessels occurring in patients with a history of asthma or allergy. When a blood vessel becomes inflamed, it can narrow, making blood flow difficult. It can close off completely, preventing blood from getting through altogether, or stretch and weaken resulting in a bulge called an aneurysm. If an aneurysm bursts, it can lead to serious, potentially life-threatening bleeding inside the body. Eosinophilic disorders result from the build-up of too many eosinophils, a type of white blood cell, in various parts of the body. Eosinophils help to fight off infections and are important in the body’s immune response. When the body wants to attack a foreign substance that invades the body, such as an allergen, eosinophils jump into action by moving into the area of the substance and releasing toxins. When the body produces too many of these white blood cells, they can cause chronic inflammation leading to tissue damage. Sometimes, eosinophils can also move outside the bloodstream causing build-up and resulting inflammation in organs as well. Likewise, vasculitis occurs when the immune system attacks the body’s blood vessels (arteries, veins and capillaries) by mistake. This can happen due to an infection, a medicine, or another disease or condition, according to the National Heart, Lung and Blood Institute. According to the National Institutes of Health, anaphylaxis is “a severe, whole-body allergic reaction to a chemical that has become an allergen.” It is an emergency condition that requires immediate medical attention. Without treatment, anaphylaxis can result in blocked airways, cardiac arrest (stopping of the heart), respiratory arrest (no breathing) or shock. In previous clinical trials that included 39,500 human test subjects, it was determined that anaphylaxis occurred in as little as 0.1 percent of patients, typically within one to two hours of receiving a subcutaneous injection of the drug. But the FDA cited new reports that indicated anaphylaxis was delayed in some patients, sometimes for more than 24 hours after taking Xolair. This result can occur as early as after the first dose. It was also found to occur after any dose of the asthma medication even beyond one year of starting regular treatments and even if there was no adverse reaction to previous doses. In July 2009, the FDA announced it was evaluating a study that suggested an increased number of heart and brain complications and other potential adverse events. The study spanned five years. It included 5,000 participants taking the asthma drug and a control group of 2,500 non-users. 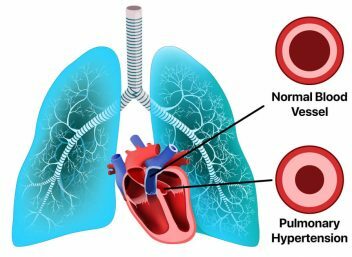 In September 2014, the FDA said the study showed a “slightly higher rate of heart and brain blood vessel problems” in the patients on the asthma treatment compared with those who were not treated. But the study was flawed, the agency said, and its limitations led to inconclusive results. The FDA furthered its evaluation by reviewing an analysis of 25 randomized, double-blind clinical trials comparing the medication to a placebo. These trials did not come to the same conclusion. But FDA noted it could not reach “definite conclusions” about the absence of risk. The agency stopped short of requiring Genentech and Novartis to issue a black box warning. But it did prompt changes to the adverse reactions section of the drug label. The FDA also found no difference in cancer rates among users and nonusers. But the agency also said it could not rule out a potential risk of cancer. Therefore, the FDA required this information to also be added to the warnings and precautions section of the drug label. Xolair is linked to several other serious side effects. They include rashes, parasitic infections and elevated immunoglobulin E antibodies (IgE) antibodies. High IgE levels could trigger severe allergic reactions. One study also found that the medication may be associated with an increased risk of heart problems as well as complications involving the blood vessels in the brain. These problems and complications can include heart attacks, strokes, blood clots and a type of high blood pressure affecting the lungs’ arteries called pulmonary hypertension. Pulmonary hypertension can cause shortness of breath, fatigue and chest pain. Patients using Xolair post-FDA-approval reported experiencing a combination of signs and symptoms including arthritis and joint pain, fever and swollen lymph nodes. The symptoms typically appeared within one to five days after the first or subsequent injections. Some patients experienced a recurrence of symptoms after additional doses of the allergic asthma drug. Its label compared signs and symptoms of the condition to those seen in patients with serum sickness, a reaction to proteins in antiserum derived from a non-human animal source. In a one-year clinical trial that took place in Brazil, involving patients in the adult and adolescent populations at high risk for parasitic infections, such as roundworm, hookworm, whipworm and threadworm, over half (53 percent) of the patients taking the medication experienced an infection compared to less than half (42 percent) of those taking a placebo (dummy pill). A stool examination was used to diagnose the presence of a parasitic infection. The study’s findings indicated that a patient who had an infection was anywhere from 0.88 to 4.36 times more likely to have taken Xolair.